In the three years of studying Visual Communication Design I have learnt a great deal about the field of design and ultimately found something I feel passionate about which motivates me to strive to my full potential. Previously, I was studying Fashion Design at UTS and the transition to graphic design and the University of Newcastle has been a really rewarding experience. I have enjoyed experimenting with the different disciplines of the degree, particularly photography, web design, illustration and typography. 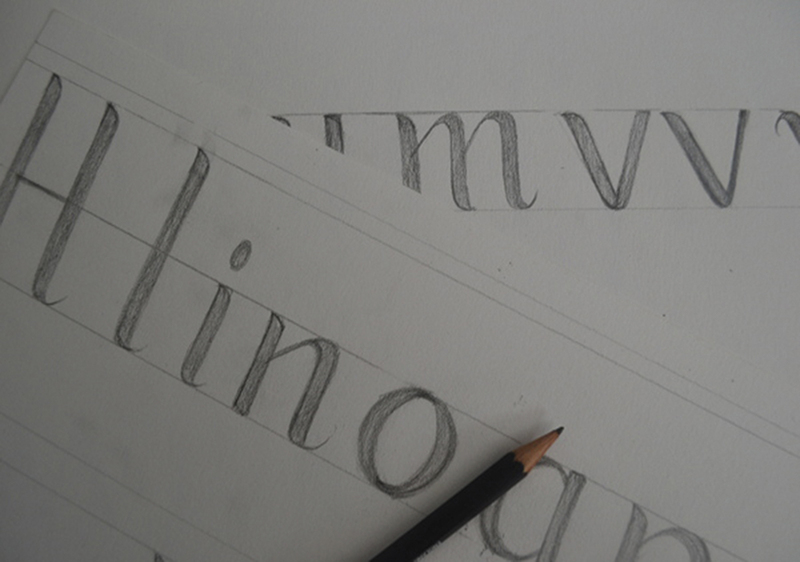 I had never heard of the term typography before I started visual communications but it’s something I’ve become very interested in over the past few years and have been fortunate enough to participate in a number of hand-lettering workshops to further my knowledge of this practice. In 2013 I participated in an exchange semester to Salzburg, Austria. This was an incredible experience as I was not only learning from industry professionals from a range of cultural backgrounds but also from the accompanying students. It is extremely rewarding to collaborate with people from a variety of cultures and this is definitely a goal of mine to practice graphic design on an international level. 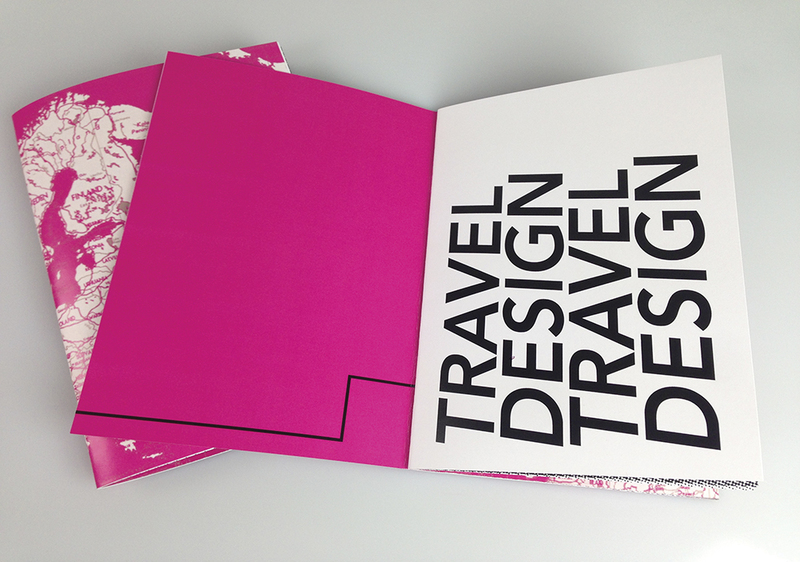 Where are you heading from here as a graduate of visual communication design? I’m am interested in design on an international scale as I feel there is a lot to learn from creatives with differing cultural backgrounds and the idea of collaboration is something I feel very passionate about within this industry. 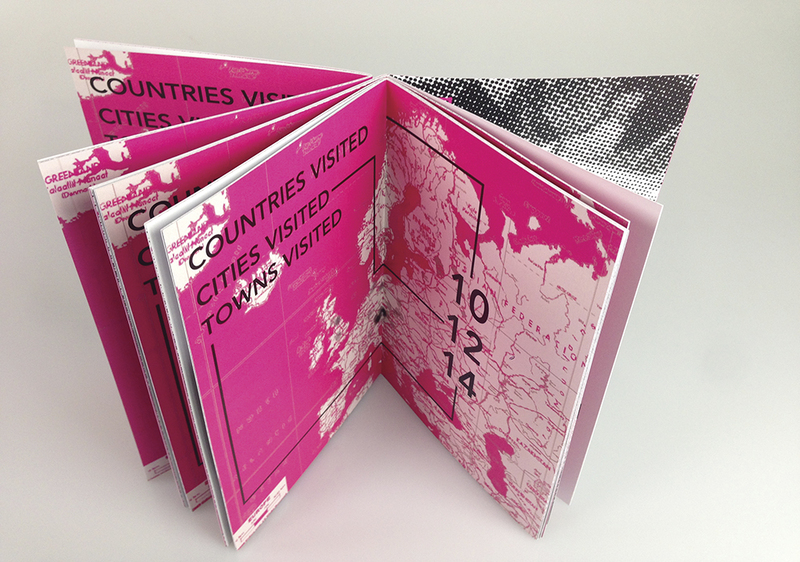 I would like to gain some design experience overseas, perhaps back in Austria where I completed my exchange semester. 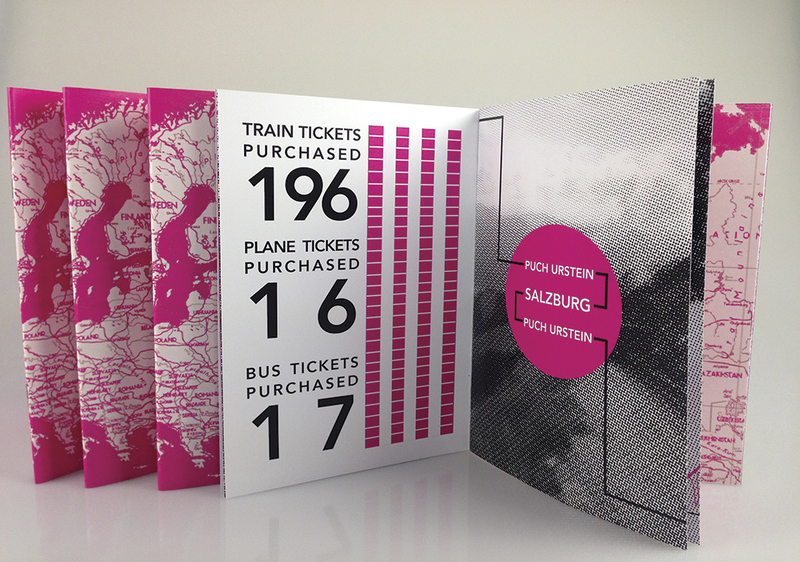 This book visually represents data accumulated from my six months travelling and studying graphic design in Salzburg, Austria. 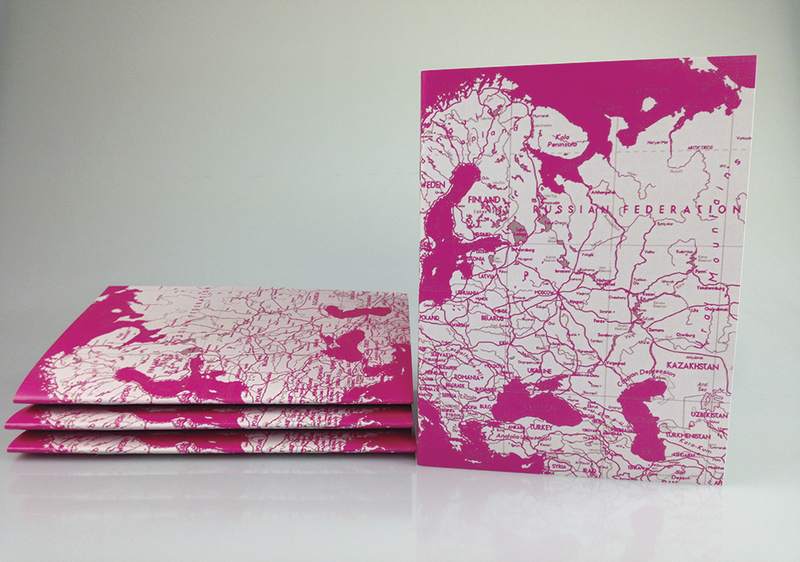 This was a project for university and the brief stipulated that we only use two colours so I limited the colour palette to the bold pink and black. 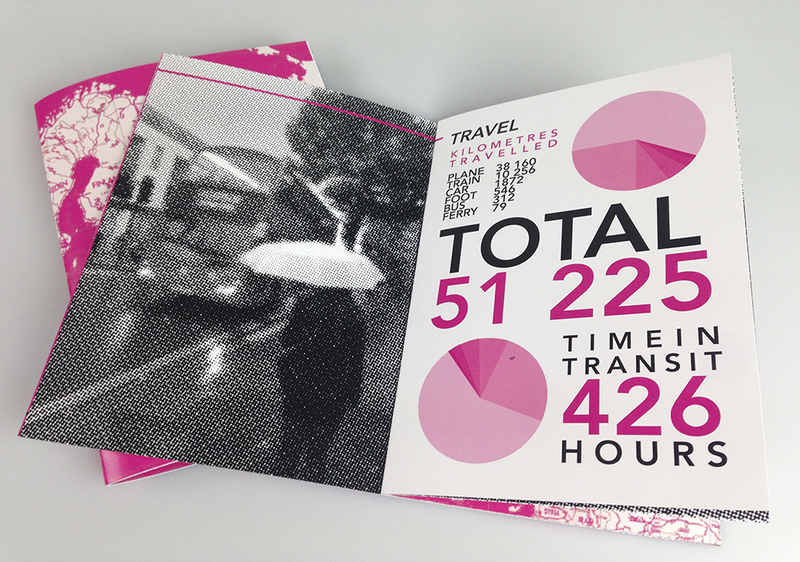 Halftone black and white images have been used throughout the book as well as bold text to display the data results. 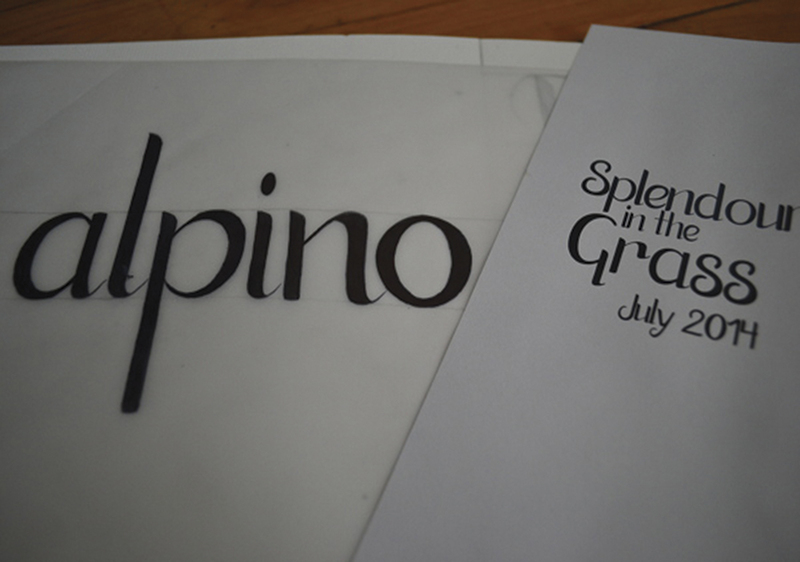 This was a font I created during a week- long workshop with, Barcelona based typographer, Andreu Balius. 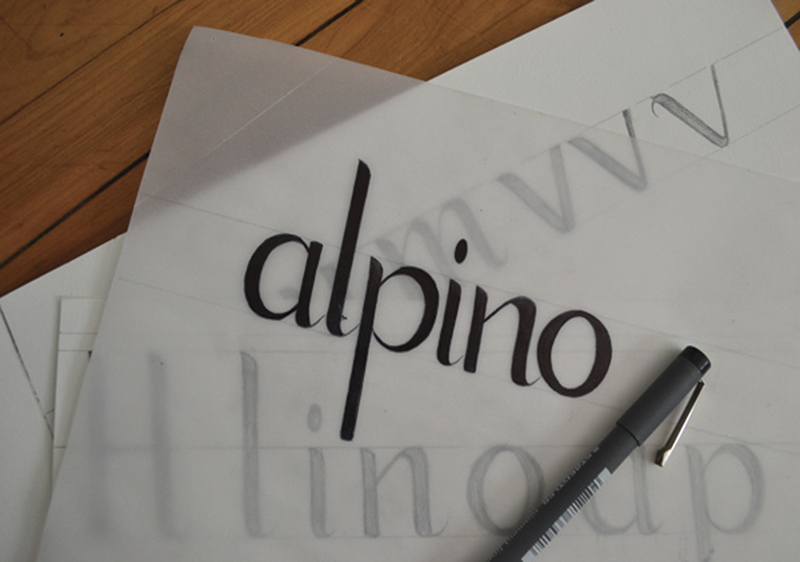 The name ‘alpino’ is derived from the letters that create the starting point for a font. I used Glyphs to digitalise the font and it is now a fully functioning typeface. The brief stated that the font needed to be used for both a heading and body copy, so striking the balance was quite a challenge. 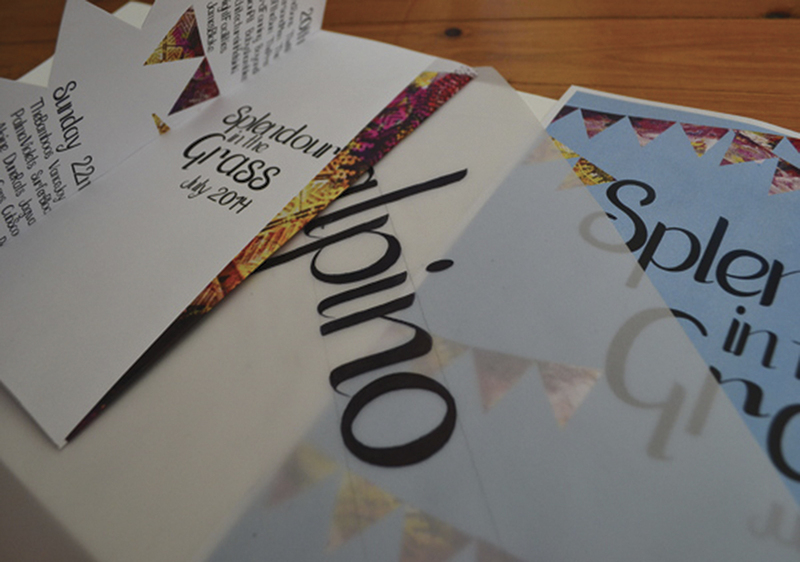 As a part of the project we had to draw inspiration from an existing music festival and create the poster and pamphlet with our font.